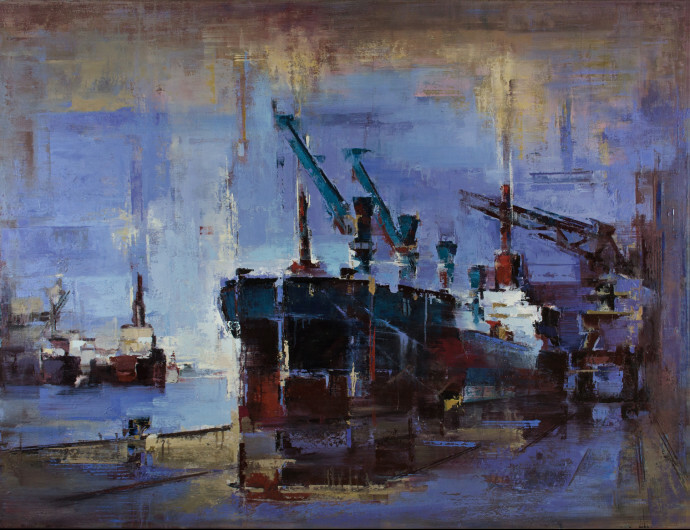 The Rebecca Hossack Art Gallery presents its first solo exhibition of oil paintings by Greek artist Tilemachos Kyriazatis. 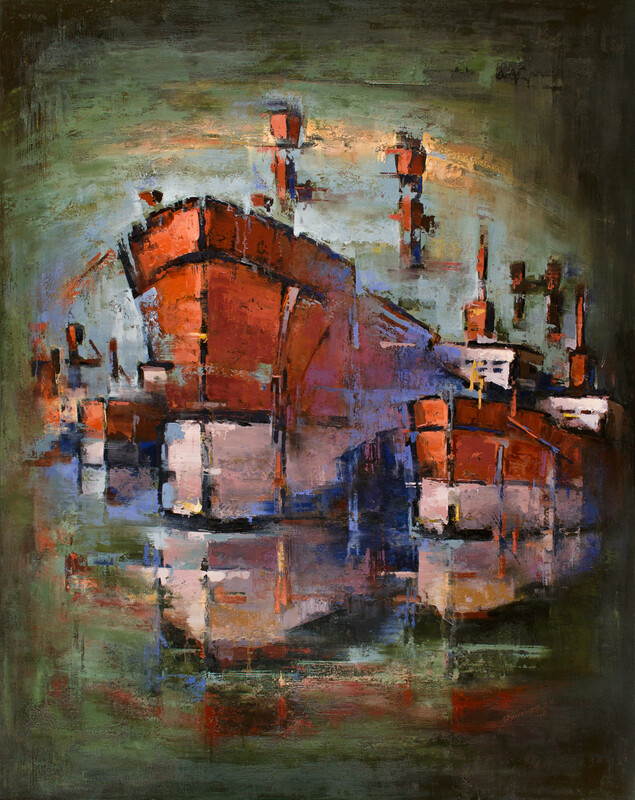 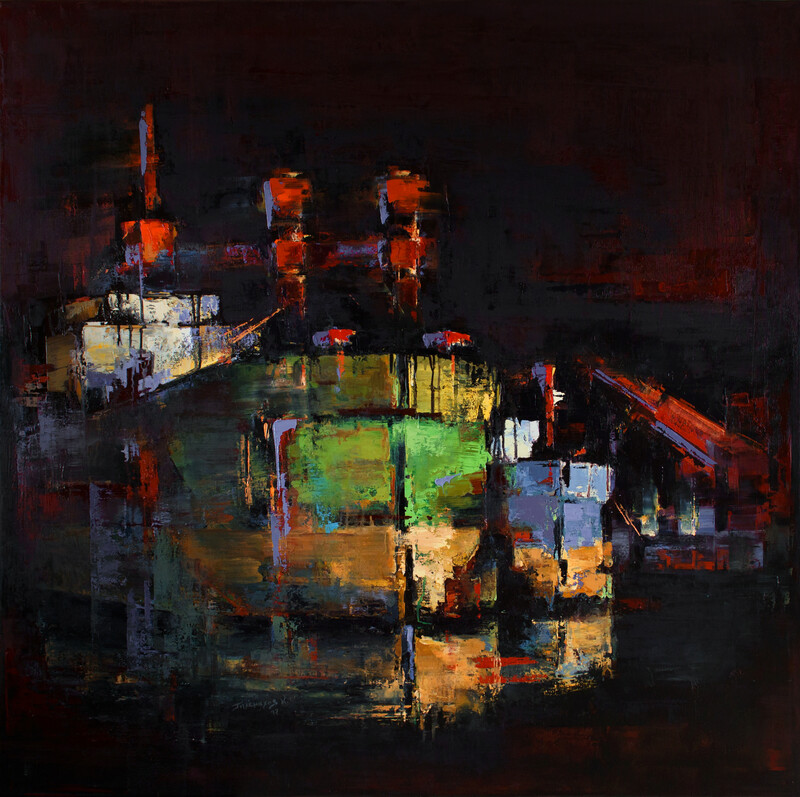 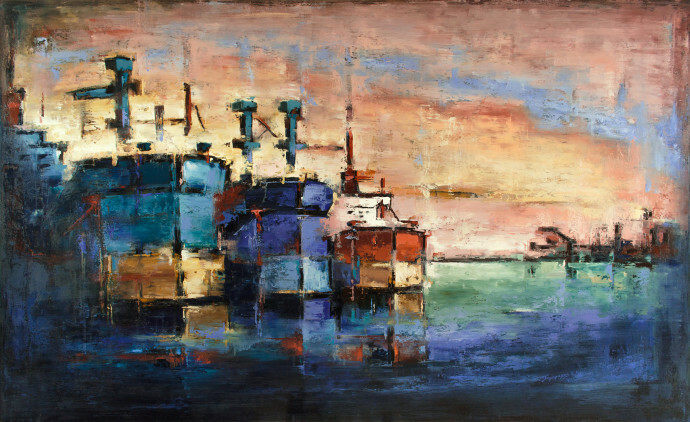 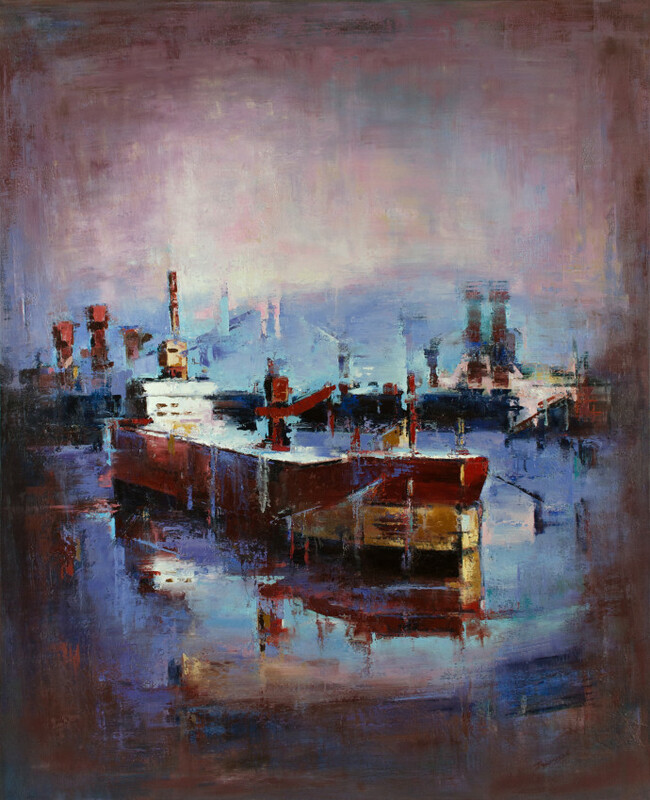 Encompassing eight canvases depicting ships at port, Kyriazatis builds up oil paint in textured layers, drawing upon gestural plein air sketches that he makes on his travels around European harbours. It is the artist's philosophy about travel, both physical and spiritual, that inspires the titles of his new series. 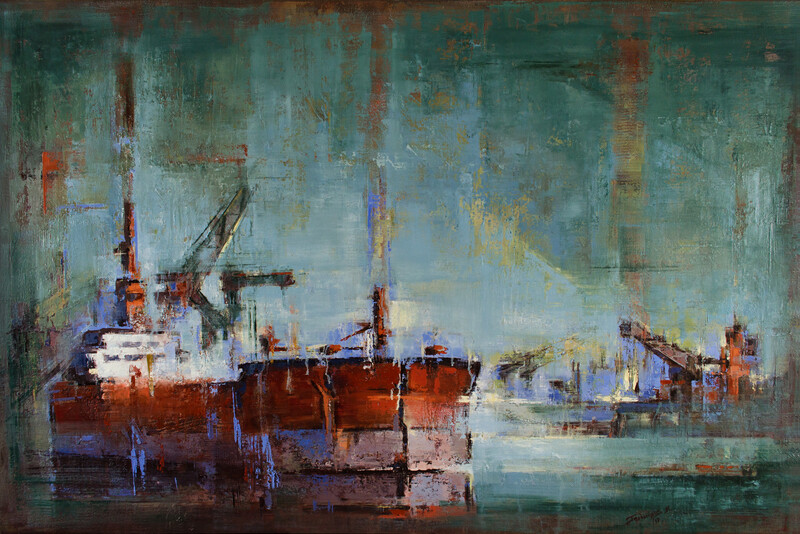 With each painting referencing the heroes and heroines of Greek mythology, a greater journey than one at sea is evoked - one of trial and challenge set within the greater context of the cosmos. The ship becomes a metaphor not only for a physical odyssey, but a pyschological and emotional one - just as the Greek myths purported to set examples to mankind in negotiating the journey of their own lives. 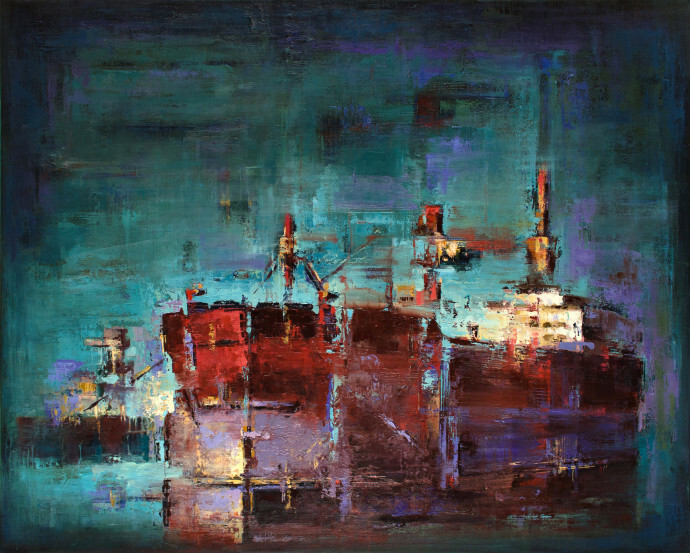 Kyriazatis studied at the Athens School of Fine Arts, and he has since had his studio in the city. 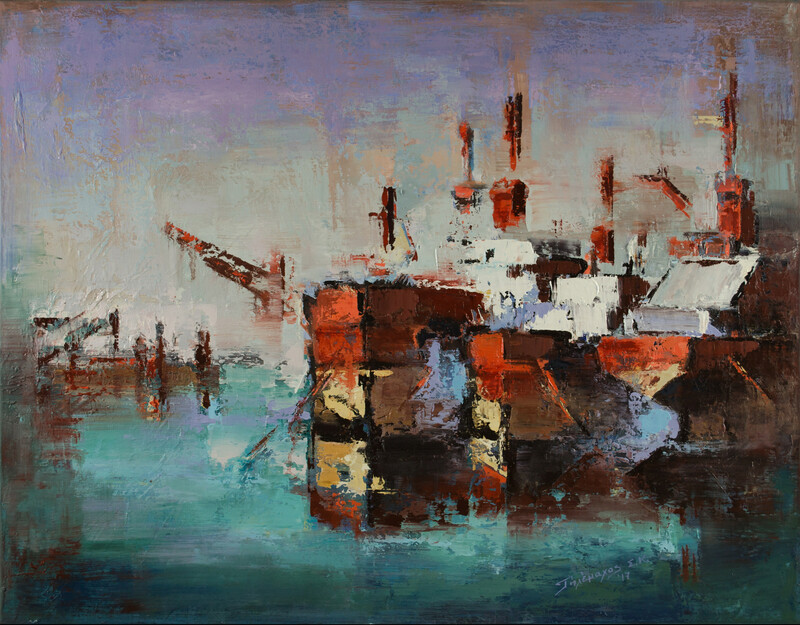 His work has been exhibited in Greece, South Africa, London and Hong Kong.